Cat owners will do anything to keep their pets happy and safe. For many cat owners, it’s difficult to decide if they should let their cat go outdoors. While going outside may make the cat happy, there’s also a chance they could get lost. One cat owner found the perfect solution to this problem. 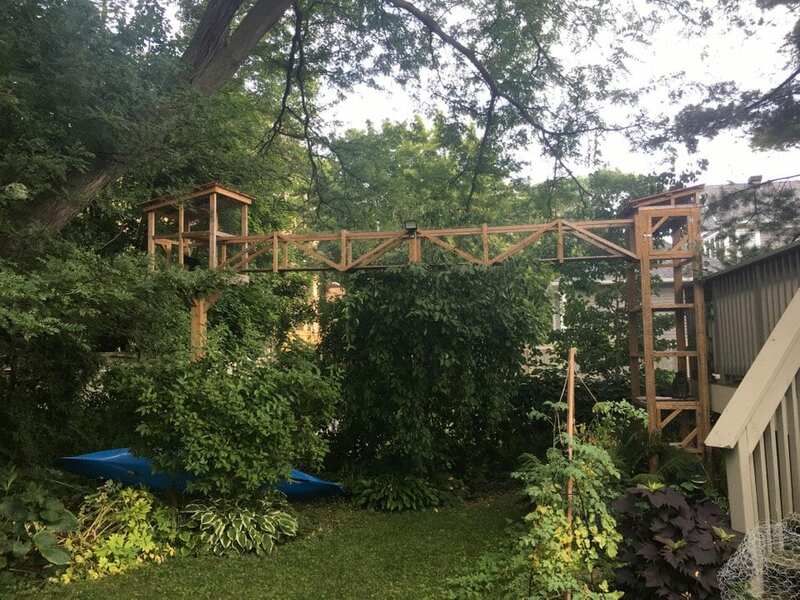 He built his cats an incredible treehouse, bridge, and tower so they could play outside! The cats spent their days staring out the window, and it was clear they badly wanted to be outside. 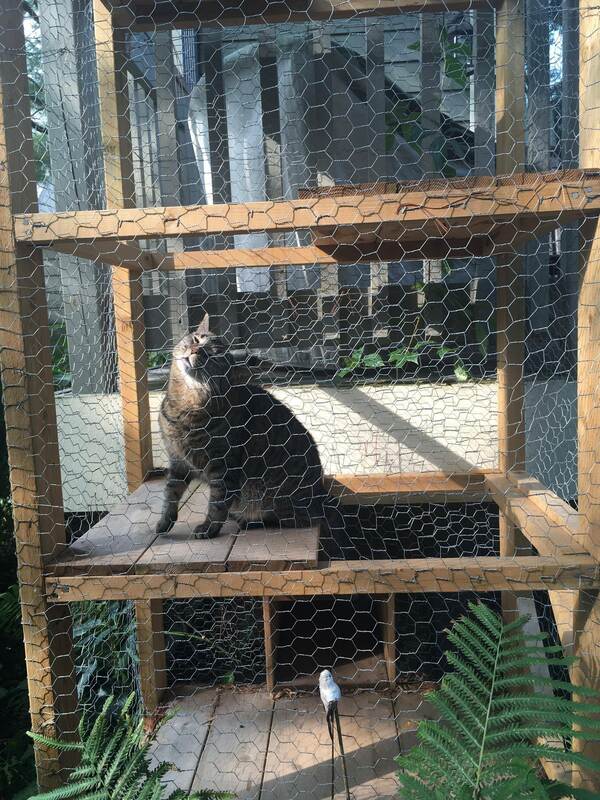 Then, Hadley’s dad Alex realized that he could build the cats an enclosure under their outdoor deck. 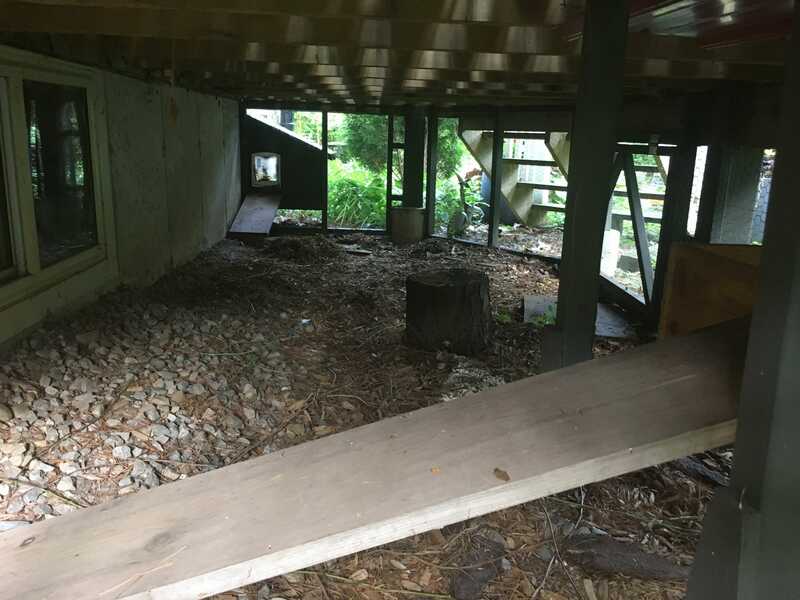 Alex decided that he didn’t want to stop with just the enclosure under the patio. He decided he also wanted to build the cats a play area in the trees! He built a tower for the cats to climb up, and he also made a bridge for them to walk on. 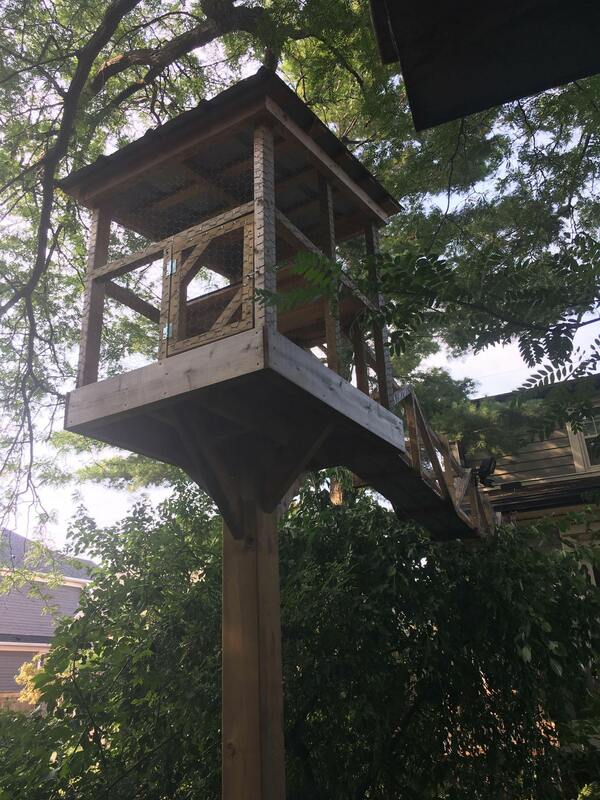 He finished his creation with a beautiful treehouse for the cats to play in. The cats loved it! “Both of them are in it at least once a day. We love it too! We think it’s perfect… The catio ensures that they are safe! It’s also quite amusing to watch them in it,” Hadley said. 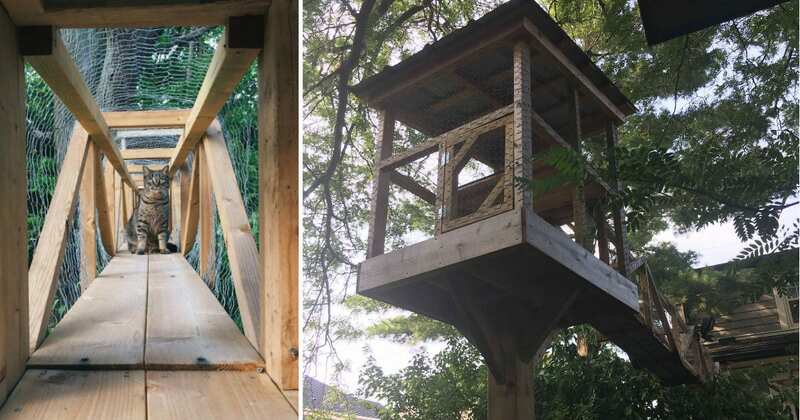 Hadley shared a few photos of the treehouse on Reddit, and they quickly went viral. Many people asked if Alex could build their cats their own catios. 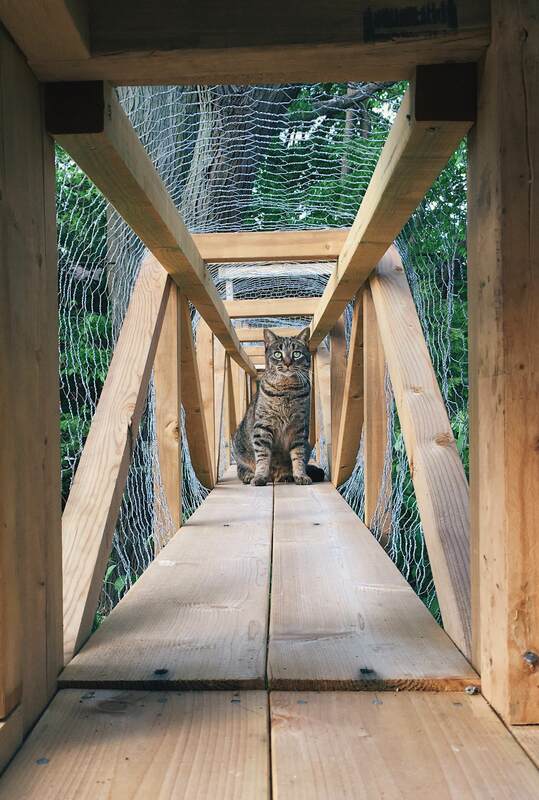 Hadley says that her dad isn’t finished with the catio project—he’s always thinking of new things to add. He’s planning to add an entrance from the second-story bedroom window, and Hadley is excited to see how it turns out. 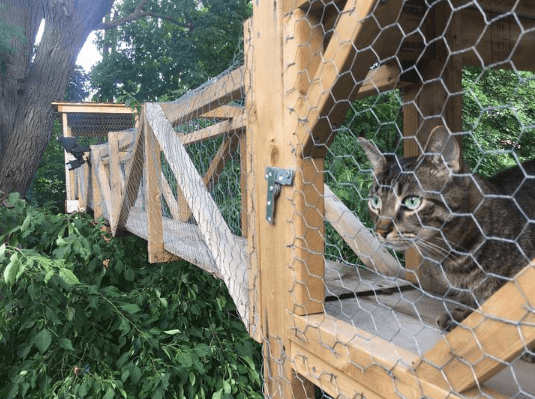 Alex is an amazing cat dad who has built a truly incredible enclosure for his cats to play in. If you want to see more photos of the catio, check them out here.